The Kalare Night Bazaar in Chiang Mai is a little hard to find but well worth the effort to do so. It is a great location to spend a night of shopping and dining with plenty of free cultural entertainment to boot. Don’t be frightened to haggle for a bargain. Like many tourist places around the world they will start with a higher price if they think you are willing to pay. In most cases somewhere around half price of the first offer is most likely what you can get it for. Don’t buy from the first person you see. Wait a while to see the variety of goods on offer before you decide on what souvenirs you want to take home and at what price. 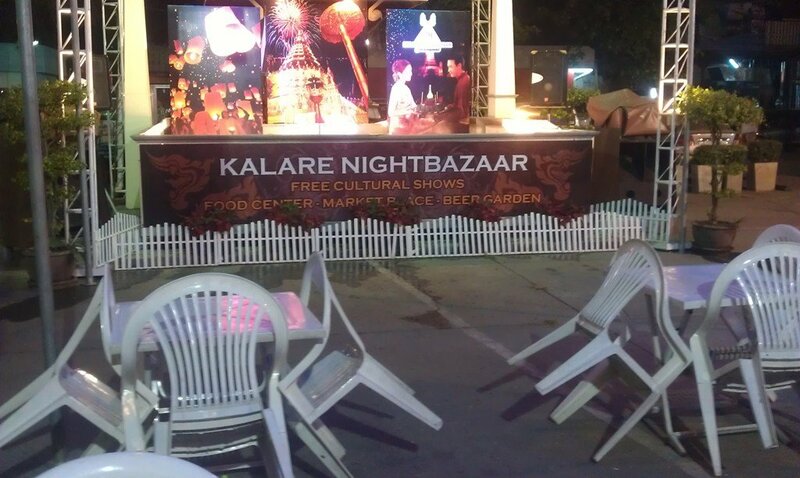 The Kalare Night Bazaar an unique combination of shopping, cultural performances and open-air dining . You can have a great night out without breaking the budget. There is one bar that puts on a fantastic cabaret and all it costs you is the price of a beer, coffee or favourite drink. The show is exceptionally well done and to be honest I found it much more enjoyable than both the Tiffany Show and the Colosseum in Pattaya. Just keep an eye out for the lady-boys and they will be sure to invite you along for a night of fun entertainment. You shouldn’t need to try too hard to find them as they will most likely find you. I found it a little hard to find when asking the locals for directions, so to make it a little easier I have included a Google map below. Just click the view larger map and Google will help you find it. 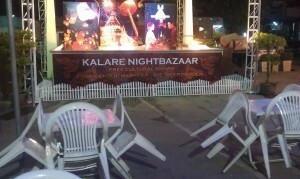 Below are a few photos from our visits to the Kalare Night Bazaar in Chaing Mai. Click on any image to open a cascading light-box and to see a description of the image.